Yesterday, I picked up 40 pounds of chicken breasts. Yes, that was a little crazy, but it’s the farm-raised, organic, etc. for super cheap from a farm out here and they only sell it in units of 40 pounds. Thank goodness for my chest freezer! 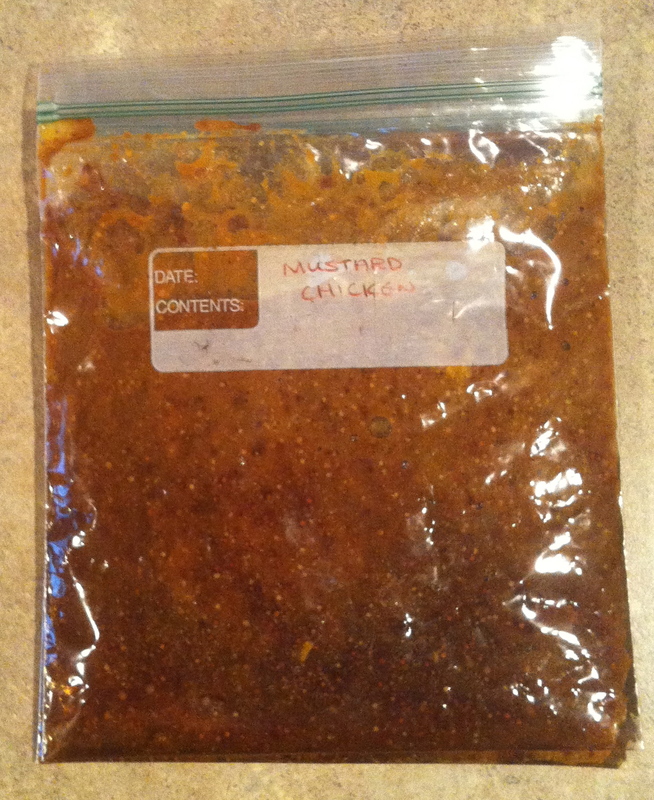 So, while I was cleaning it all, I decided to make a bunch of marinades to put the chicken in once I baggie them all for the freezer so that when I pull them out, I have the chicken and marinade all at the same time! Here’s one of those! Raspberry chicken is one of those things that just didn’t sound appealing when I read the recipe, but a friend convinced me to try it. I altered it significantly (I don’t like super sweet chicken) and came up with a recipe that I really like. It just gives it a little bit of a raspberry flavor and would probably be great on a raspberry spinach salad! 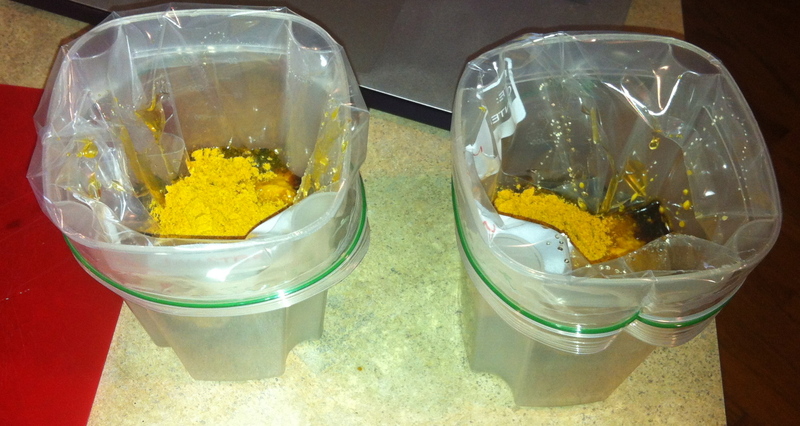 Combine all ingredients in a quart-sized baggie (the easiest way to do this is to use my easy way to baggie sauces). 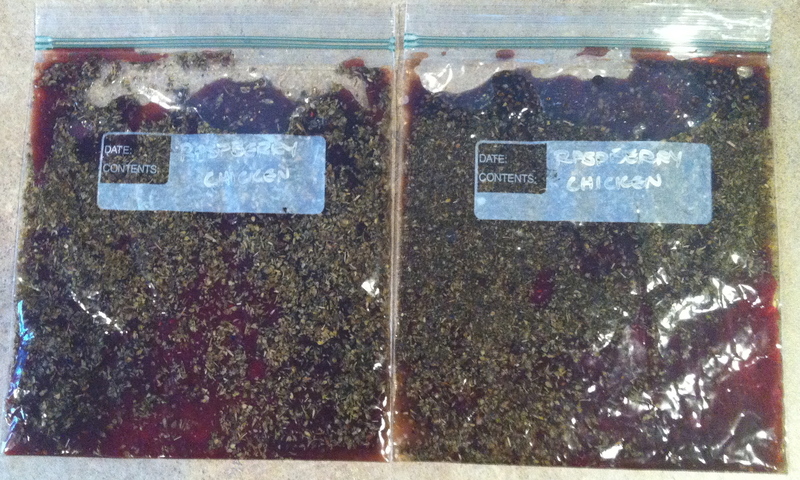 Make sure to label the baggie beforehand so you know which marinade is which! 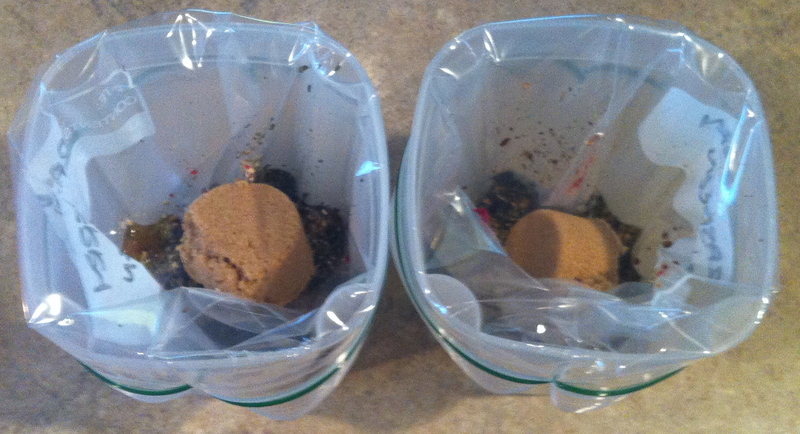 Take off the plastic container, and make sure any lumps of dry ingredients get incorporated into the liquid. Add two to three chicken breasts. Let marinate in the fridge for a couple of hours (or longer) or freeze and defrost in the fridge whenever you’re ready to use them! 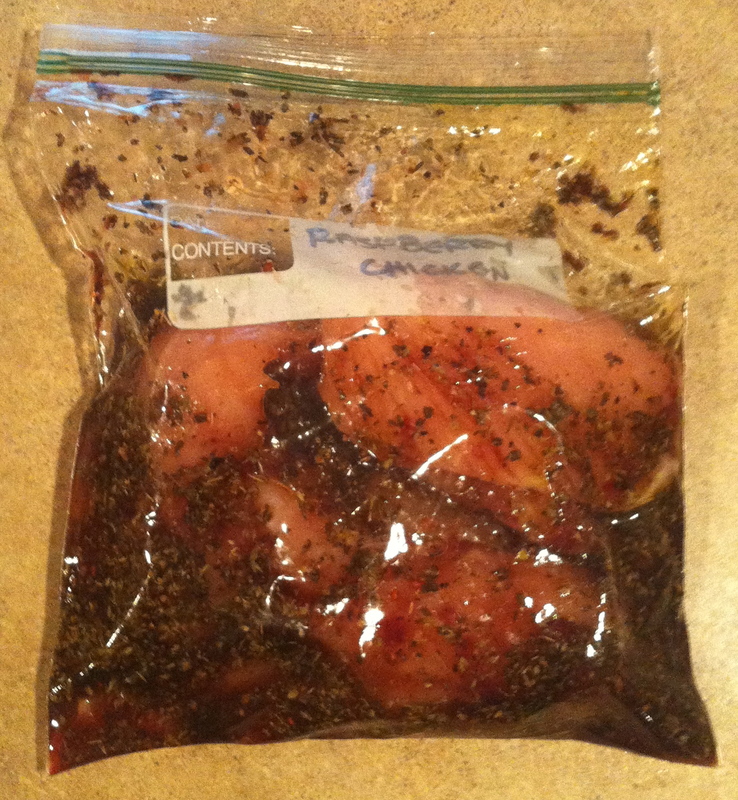 Hi, I’m preparing the marinade right now, and I have a question. When your recipe calls for 1 T of oregano , do you mean fresh or dried? hiw do you cook this chicken? Grill, oven, crockpot? Is the “T” tablespoon or teaspoon? Can I do this with a raspberry vinaigrette? I would LOVE to hear how all these recipes and ideas turned out for you! Leave me a comment and let me know! E-mail me suggestions at prettyasapeachblogger@gmail.com for recipes you'd like to see a healthier version of and I'll be happy to attempt it! Never miss a recipe or tip to keep you and your home Pretty as a Peach!